Produced in association with Econsultancy, this exclusive research explores what is driving online personalization, the tactics and types of data being used to tailor the online customer experience and the barriers to success. Personalization is seen as vital for business performance: 94% of in-house marketers surveyed see personalization of the web experience as ‘critical to current and future success’. The reality is harder than the dream: Only 4% of organisations describe their website experiences as ‘very’ personalized. Around three quarters understand the importance of personalization, but ‘don’t know how to do it’. The difficulty of harnessing customer data: Over half of client-side respondents say they don’t use data from CRM systems or data warehouses for personalization. Most companies are held back by technology: The most commonly cited major barriers to adopting or improving website personalization are IT roadblocks (47%) and legacy technology (46%). 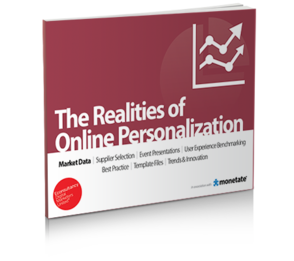 Get your copy of The Realities of Online Personalization today!